Just as the aroma and caffeine of a cup of Joe in the morning stimulates many of us, using coffee ground on grass can also stimulate healthier turf. How are coffee grounds good for lawns and how to apply coffee ground on the lawn? Read on to learn more about feeding lawns with coffee grounds. How are Coffee Grounds Good for Lawns? It isn’t the caffeine that stimulates healthy grass growth, but rather the nitrogen, phosphorus and trace minerals that coffee grounds contain. These nutrients are released slowly, which is a big benefit over quick release synthetic fertilizers. The nutrients in coffee grounds are slowly broken down, allowing the turf to have a longer period of time to absorb them ensuring stronger turf for longer. 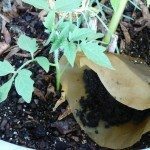 Using coffee grounds as lawn fertilizer is also good for the worms. They love coffee almost as much as we do. The earthworms eat the grounds and in return aerate the lawn with their castings, which breaks up the soil (aerates) and facilitates beneficial microbial activity, further stimulating lawn growth. Improper synthetic fertilizer applications often result in lawn burn as well as contaminating our water via ground run off. 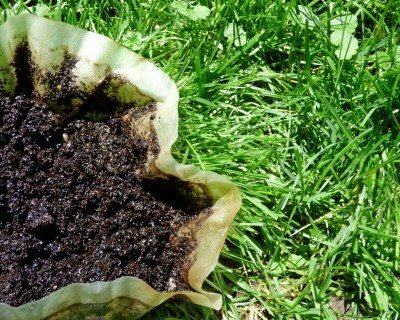 Using coffee grounds as lawn fertilizer is an eco-friendly method for nourishing the lawn and it can be free or darn near so. When using coffee grounds on the grass you can save your own or hit up one of the multitude of coffee houses. Starbucks does indeed offer grounds gratis, but I am sure smaller coffee shops would be more than willing to save the grounds for you as well. So how do you go about feeding lawns with coffee grounds? You can be super lazy and simply throw the grounds out onto the lawn and let the earthworms dig it into the soil. 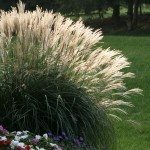 Don’t let the grounds completely cover up grass sprigs. Rake or sweep it out lightly so there aren’t any deep piles atop the grass. You can also use a bucket with holes punched through the bottom or a spreader to broadcast the grounds. Voila, can’t get much simpler than that. Reapply the coffee ground lawn fertilizer every month or two thereafter to promote a thick, green turf.